Whatever sewage-related service you’re in need of in Ridgeland, SC, you can expect a few key things from our team. When you hear the word “sewage,” you probably wrinkle up your nose and hope that you don’t smell anything unpleasant. Instead of worrying about managing the sewage treatment process on your property, leave things up to our experienced, qualified professionals at Degler Waste Services. Although we’re primarily known as a septic company throughout the Ridgeland, South Carolina area, we also offer a few key sewage services. For example, we now offer portable toilets that are available for special events, holidays, and construction sites. To make renting one a hassle-free process, we take care of dropping off the portable toilet, picking it up once you’re done, and emptying out all of the sewage. Whatever sewage-related service you’re in need of, you can expect a few key things from our team. First, we’ll let you know what we’re doing and why we’re doing it. The reason we do this is because we care about providing our clients with helpful information. Second, we won’t stop working until the job is done right in order to ensure your complete satisfaction. Finally, we’ll do whatever it takes to ensure that you come back to us when you need help with your property’s sewage collection or treatment needs. At Degler Waste Services, we’re always here when you need us. Get in touch with us today to find out more about the sewage services we have to offer or for more information about why you should work with us. 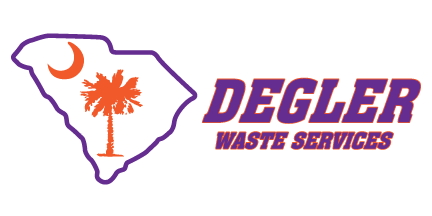 At Degler Waste Services, we offer high-quality sewage services in Ridgeland, Wellford, Lyman, Spartanburg, Inman, Tryon, Landrum, Greer, Taylors, Greenville, Mauldin, Simpsonville, Travelers Rest, Pumpkintown, Lady’s Island, Bluffton, Hilton Head Island, Hardeeville, Beaufort, and Walterboro, South Carolina, as well as Savannah, Georgia.